Great West Inspection incorporates Infrared Camera technology (IR) into the reporting procedures, other inspectors don't..! 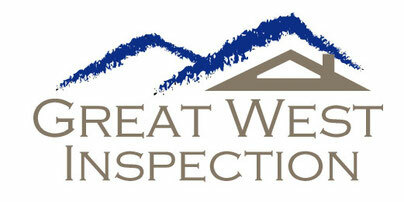 The Great West Inspection Infrared IR Camera Inspection Advantage. IR cameras can inspect areas that can't be reached with thermocouples or other contact-based instruments. High resolution thermal images instantly pinpoint problems in need of repair, IR cameras are critical for condition monitoring of thermally sensitive targets. The instrument reportedly delivers high accuracy of 2 percent and thermal sensitivity of 0.18°F/0.1°C, which provides compliance to NETA testing requirements. 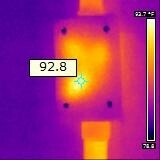 The IR Camera allows Great West Inspection to check for overheating in electrical panels and transformers, to spot electrical faults before it is too late, and to identify faults in cooling and heating systems, and problems with motors, fans and bearings. While spot IR thermometers present only a single temperature at a single spot, the IR Camera gives us the whole picture, equal to 6400 spots! Thermal imaging is the most effective method for finding problems or potential problems in a variety of applications across many fields. Home inspectors without the IR Camera rely on their trained eye to detect many of the problems that typically exist in buildings. 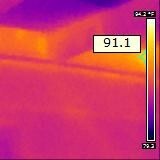 But even the most highly trained inspector can benefit from the power of a thermal imaging camera, because it can detect what no eye can see-minor variations in temperature that can signal electrical or moisture problems. 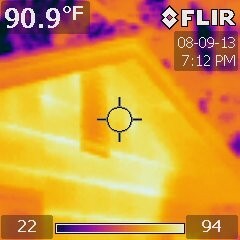 For example, infrared cameras can detect moisture accumulating out of sight in a roofing system, electrical components that are overheating, and many other unseen or hidden problems.